Saturday night saw a packed audience enjoy the ‘Bryansford Does Strictly’ Grand Final and it lived up to its billing as everyone witnessed a top class show with Ann Murray and Marty Smith emerging as winners writes Ronan McVeigh. Curtis Cowey took part in the Celtic Park games during the interval last Sun in the match between Down and Derry. On behalf of the Club Executive we sincerely thank our 24 wonderful dancers, Shane Berger for his choreography expertise, DJ McGiggs and Simon Walsh for Music, Lighting and Videos, to our army of volunteers who without their help it would have been impossible to hold such an event – they all showed a professionalism which was second to none. Thanks to Joan Burden of Shimna Valley House, our preferred charity for all her help. It would be unfair at this stage not to mention the input of Chris Brannigan who put together a show that Bryansford has never seen before – Chris ensured everything was of the highest quality and his attention to detail perhaps sees his future in PR Entertainment! Well done to Down Seniors and Minors on both winning in their Ulster Championship fixtures at Celtic Park on Sunday – a large Bryansford involvement in both teams and we look forward to their Semi finals on 23 June. 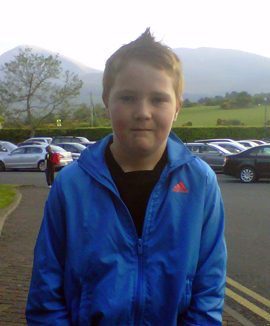 Well done to U-12 player Curtis Lowey on participating in the half-time games at Celtic Park on Sunday. Senior Football league fixture on Wednesday 5 June away to Saval at 7.30pm. Well done to Benjy Ward on winning the Irish Daily Star Manager of the Month for May after Down ladies success in the NFL – also to Clara Fitzpatrick and Emma Joyce on getting selected for the NFL League team of the year. 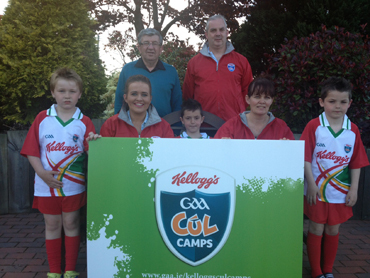 The Kelloggs GAA Cul Camp 2013 was launched last week in the Burrendale Hotel and more information will be available from the club in the coming weeks – once again a nursery camp will be held alongside the main camp this year. Bryansford Camp will be 5-9 August. Irish Country singing sensation Lisa McHugh will play Bryansford Club on 21 June and tickets are available from Ronan McVeigh 07500 932464 or Marc Brannigan 07595 721766. 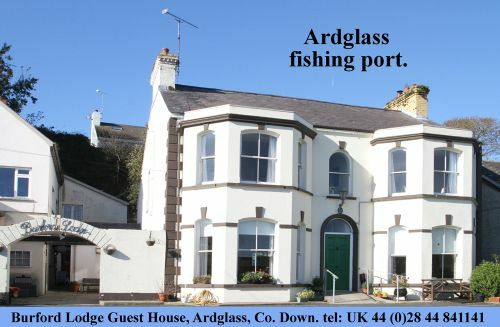 Numbers 6,12,20,28 (27) jackpot £7200 £15 winners Orla Cunningham, Tina Brogan and Aidan Lundy. This Saturday the P5/6 boys play in Dundrum in the next East Down Blitz series – players to be in Dundrum for 10.15am – any parents with problems with transport contact Ronan McVeigh ASAP. It is hoped a U8 blitz will be held alongside this event and Martin McKibbin will contact all parents with info. On Saturday 15th June the P5/6 team will go to the An Riocht tournament – this is a all day event and kids will need a packed lunch and sun cream with them. More info next week.